An individual should apply for admission as soon as possible to be officially accepted for a program and starting date. Applicants may apply for enrollment by contacting Admissions at American College of Healthcare and Technology, completing an enrollment application and receiving a program presentation and facility tour. Applicants and their families are encouraged to participate in the program presentation, so that they may have an opportunity to ask questions. Upon completion of an application for enrollment, interview questionnaire, passing a nationally recognized standardized ability to benefit test and completing an interview with an admission representative and touring the facility; satisfactory arrangements will be made for the full payment of tuition. Here in ACHT, we do not have an application deadline. For more detailed information, contact the Financial Aid Office. Application forms include Free Application for Federal Student Aid, an Internal Application, a Default Statement, a Residency Questionnaire and a Federal Loan Application, if applicable. All students who are eligible for Federal Pell Grants, or FFELP Loans may receive awards from these sources and must maintain Satisfactory Academic Progress (SAP) in order to continue to be eligible to receive Federal Student Financial Aid. Upon completion of an application for enrollment, interview questionnaire, passing a nationally recognized standardized ability to benefit test and completing an interview with an admission representative and touring the facility: satisfactory arrangements will be made for the full payment of tuition. Once the admission process is completed, Administration reviews the admissions criteria to determine eligibility. The applicant will be notified of the determination within seven days. The program reserves the right to reject any applicant that it determines will not benefit from the training. Upon approval from Administration, the student will sign an enrollment agreement (must be signed by a parent or guardian if the applicant is under 18 years of age). 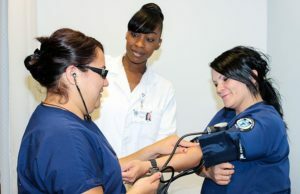 The Director of Education will evaluate previous education and training that may be applicable to an educational program offered at AMERICAN COLLEGE OF HEALTHCARE. 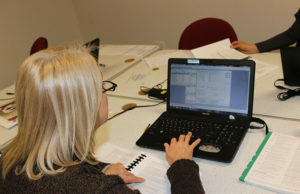 Students applying for advanced standing must submit an official transcript with catalog class descriptions to the college for review prior to beginning their program of study. 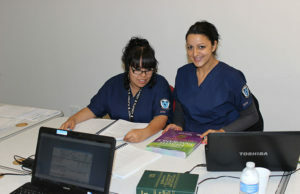 Credit may be given if the education and/or training were completed at another institution accredited by an agency recognized by the United States Department of Education (USDE) or the Council for Higher Education Accreditation (CHEA) where classes and credit values are comparable to those offered at AMERICAN COLLEGE OF HEALTHCARE and a grade of C or 70% or better was attained. Students may be required to demonstrate competency in requested transfer classes. Transfer credits are not used in determining grade point averages. 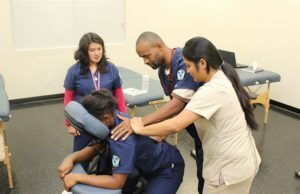 Recognition of credits earned at another postsecondary institution is limited to no more than 50 percent of the total hours required for completion of a designated program. 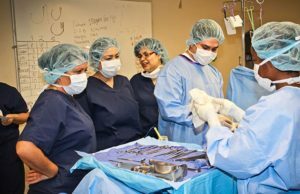 AMERICAN COLLEGE OF HEALTHCARE does not grant credit for experiential learning. The institution will conduct an evaluation of previous education and training for all eligible persons, grant appropriate credit, shorten the training period proportionately, reduce cost proportionately and notify the student accordingly. It is the responsibility of students who plan to transfer to other post-secondary institutions to acquaint themselves with the requirements of any selected college, university or institution. AMERICAN COLLEGE OF HEALTHCARE does not guarantee transferability of credits and it should not be assumed that any classes or programs described in this catalog could be transferred. Any decision on the comparability, appropriateness, and applicability of credits and whether they may be accepted is the decision of the receiving institution. This is a standard transfer-of-credit procedure.